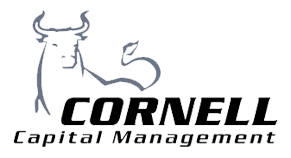 Cornell Capital Management specializes in providing discrete, customized and comprehensive money management and hedge fund services to corporations, family offices and high net worth individuals in the US and abroad, and we are proud of our record over the last twenty five years. According to the most popular independent financial ratings services (Morningstar, Money Manager Review, ReutersAdvicePoint) Cornell Capital Management has been one of the top performing money management companies in the world. Our client service is world class, but it is the consistency of performance over the last 25+ years that truly sets us apart. Our approach to the management of investment portfolios is conservative and long range. Our aim is to try to get our clients the greatest possible return with the lowest turnover and the least amount of risk. Please feel free to contact us with any questions that you may have. We welcome your feedback and look forward to the opportunity of helping you achieve your long-term investment goals. "Peace Of Mind Through The Creation and Preservation of Wealth"